NEW BOOK BY “CHICKEN SOUP FOR THE SOUL” AUTHOR FEATURING NEWPORT BEACH, CA ATTORNEY'S STORY JUST DEEMED "INTERNATIONAL SUCCESS"
The co-author of one of the best-selling books of all time, “Chicken Soup For The Soul’s” Jack Canfield has released his tome, “Soul of Success Volume 2” to immediate international success reaching best-seller status on Amazon in 6 categories both in the U.S. and Canada on the day of its release. 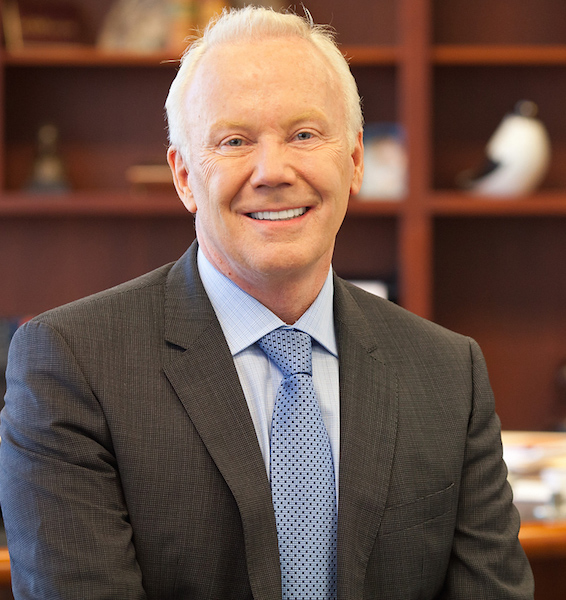 One of the highlights of the book is a profile of prominent Newport Beach, CA attorney West Seegmiller, who shares his story and reveals his "core strategies for getting to the heart of health, wealth and success." The book reached #1 in the “Direct Marketing” category, #7 in “Marketing,” #16 in “Marketing and Sales,” #22 in “Entrepreneurship,” #25 “Small Business and Entrepreneurship” and #10 in “Direct Marketing” in Canada, making it an international best-seller. Seegmiller, a former California State Pro-Tem Judge and well-known personal injury attorney, is known for taking on large, well-known entities like Coca Cola, Southern California Edison, Rockwell International and, most recently, TGI Fridays and emerging victorious, earning his clients multi-million dollar verdicts. He has generated interest in his practice by building reproductions of actual courtrooms complete with judge’s bench, jury box and tables for the plaintiff and defendant at his offices. This isn’t an aesthetic consideration, but rather a functional space for him to conduct “pre-trials” of his cases. He hires mock “juries” to hear his cases first so that he can gain their feedback. He then shapes and reshapes his arguments so when he tries the case in front of an actual jury, nothing is left to chance. Published by Celebrity Press, “Soul of Success Volume 2” includes the “secrets to success” and words of advice from a number of professionals who have emerged as leaders in their respective fields. The book is intended to inspire up-and-comers and those seeking a new lease on life. Canfield selected Seegmiller after reading about the attorney in an advance copy of Performance 360 Magazine, which showcases other business leaders including Virgin Atlantic’s Richard Branson, author and motivational speaker Alan Weiss, “the father of modern networking” Ivan Misner and syndicated columnist Harvey Mackay. “I’m delighted and honored to have been invited by Mr. Canfield to contribute to his book and am thrilled that it is on track to reach the same level of success as his other books,” said Seegmiller. Seegmiller became an “advocate for the underdog” due to personal circumstances. While in his 20s, he was involved in a devastating motorcycle accident that required months of painful treatments to recover from his injuries. He sought justice for himself and it inspired him to help others. He earned a Bachelor’s degree in political science at the University of California Davis, Master’s degree from the University of Southern California and his Juris Doctorate from the McGeorge School of Law University of the Pacific in Sacramento. There, he was selected to participate in the highly competitive Traynor National Moot Court Team and was a member of the prestigious Pacific Law Review. He continues to educate himself and expand his knowledge in the legal field by honing his skills in the practice by attending both the Harvard Law School Program of Instruction for Lawyers, as well as, The Jerry Spence Trial Lawyers College. He is a member of the Professional Association of the Consumer Attorneys of Los Angeles, American Bar Association, Consumer Attorneys of California and the American Association for Justice.